Oh the master closet, its every girls dream. And every husbands headache. Though I was surprised at how much Kyle did not gripe about the size once it was drawn out. Maybe I’m rubbing off on him. Kyle and I are closet people, in the sense that we don’t like dressers and such in our bedroom. We like everything to be in the closet. So we are big “system” people. And we are big slobs. So if we can keep all our mess in a room where we can close the door, perfect. Some pics of closets I look at are just over the top. I like pretty and functional. But mirrors galore is not my thing. 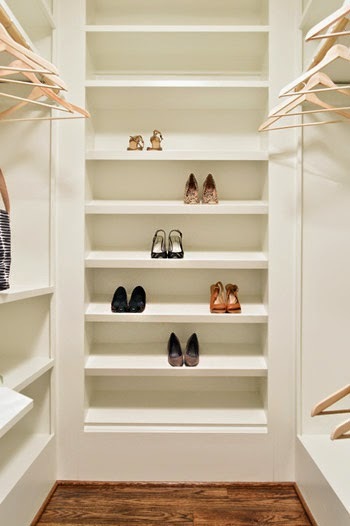 Some of my main wants are: 1) Shoe wall (hellooo!) 2) Jewelry station 3) bench 4) Display hooks. So this is the layout of our closet. I guesstimated at the measurements. I could be off a foot or so. But its close. I really like the idea of having a pretty wallpaper, and a fun light/ chandelier. Kyle will hate that. This closet if from a blog I follow Honey We’re Home. I really like her displays and layout. This closet is from the YHL Show house. I really like what they call the “Vestibule”. 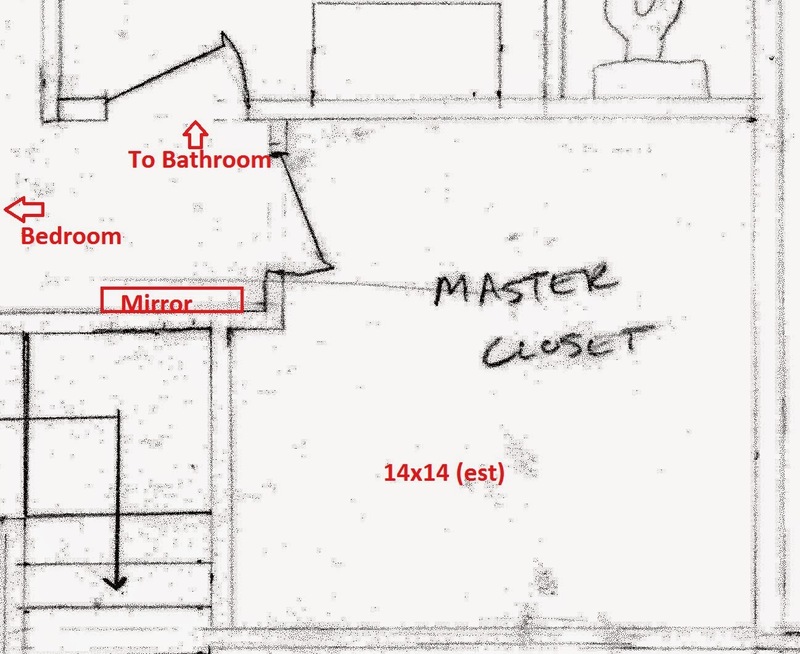 Its this space between the master bath and closet. We have this space! 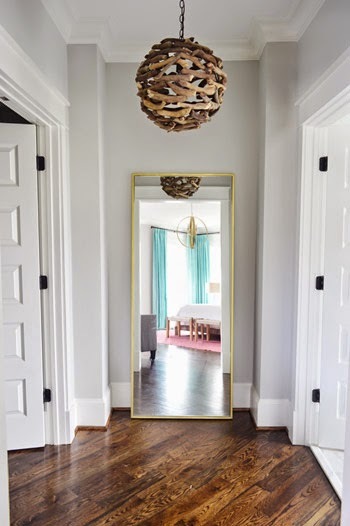 and So again I want a fun light and this is where I’ll place my large full length mirror. 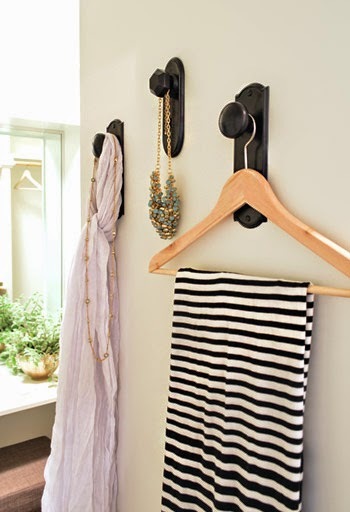 Love these great door knobs as hooks to display that days outfit. Must have! And a shoe wall of course. Not sure if I have enough to fill a wall. But I can quickly fix that. What are your closet must haves? Do you have a closet system?